I’m really pleased to announce SST will be publishing a Signed & Numbered Limited Hardcover edition of the brand new collection SHINING IN THE DARK edited by Hans-Åke Lilja. 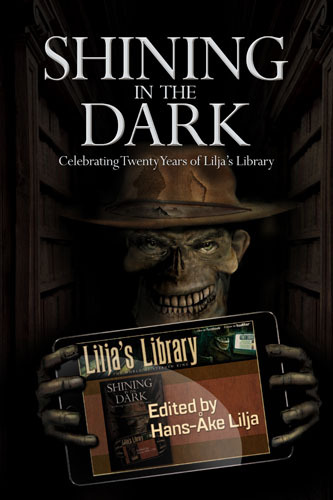 This incredible collection is to celebrate 20 years of the #1 Stephen King news website Lilja’s Library and features Stephen King, Clive Barker, Stewart O'Nan, John Ajvide Lindqvist, Jack Ketchum, Ramsey Campbell, Brian Keene, and many others! Extremely limited ONE-TIME printing of SST Publication's Special Signed Limited Edition—Only 350 copies will be available worldwide. Reserve your copy today! Don't miss your opportunity to be 1 of only 350 collectors to showcase SST’s Special Signed & Numbered Limited Hardcover edition of this incredible collection!